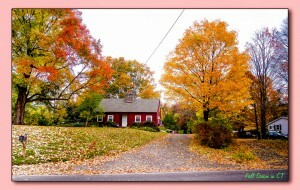 Fall is the perfect time of the year to accomplish important home improvement tasks. As a matter of fat, there are tons of household chores that you can do to get your home in tip-top shape before winter kicks in. Below are some tips. – Apply caulk around windows, siding and joints to help reduce energy bills and prevent drafts. – Level brick pavers and repair concrete in your paths and walkways. – Power wash your home to remove dust and dirt. – Replace air cleaner filters to improve air purity and freshness.